Those who do not learn from history are often condemned to repeat it. At the very least, they are condemned to misrepresent it. In our day and age, it’s incredibly easy for internet atheists to proclaim themselves experts on the Old Testament because they can read it. Sadly, Christians can do the same thing. It’s easy to just lift up a text from somewhere and treat it as a prooftext. It’s easy to confuse law and gospel and the relation between the two. Even worse, it’s easy to make a Gospel presentation where you have the fall of Adam and Eve take place and then jump straight to the story of Jesus because, you know, the history of Israel really has absolutely nothing to do with Christianity. Right? The Old Testament is a difficult work to understand because it takes place in a time and a culture that is so foreign to what we live in. When they wrote the text, they assumed that the culture was understood by the readers. For us, it isn’t. We don’t know many of the places and many of the terms or the language or the culture. In order to better understand the culture then, we need the work of those scholars who have invested in the culture. Fortunately, there are several of them who are also committed to Jesus. Even better, many of them have worked together in a volume that has been compiled by three such scholars to help us. The work is Behind The Scenes of the Old Testament and one of those editors is joining us tomorrow and his name is Jonathan Greer. 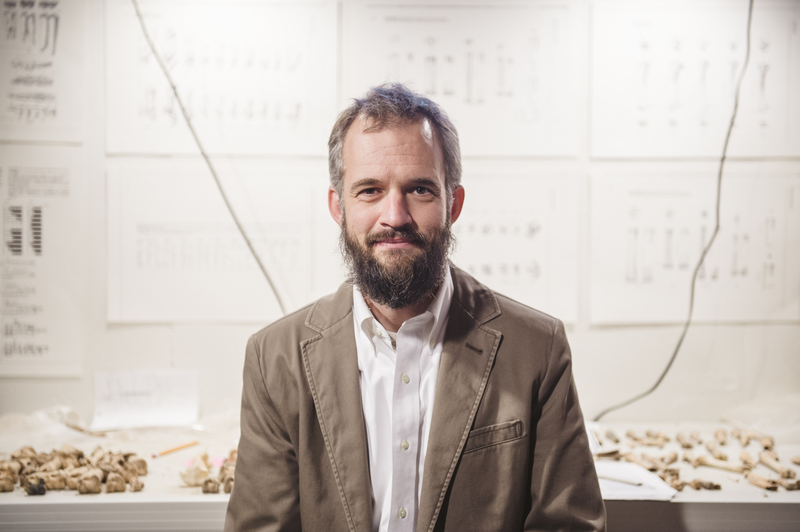 Jonathan S. Greer is Associate Professor of Old Testament and Director of the Hesse Memorial Archaeological Laboratory at Grand Rapids Theological Seminary, Cornerstone University. He holds M.A. degrees in Old Testament and Biblical Languages from Gordon-Conwell Theological Seminary and a Ph.D. from The Pennsylvania State University where he focused on Hebrew Bible, ancient Near Eastern studies, and archaeology. He is also the Associate Director of archaeological excavations at Tel Dan, Israel, and has published a number of works on the relationship of the Bible to the ancient world. We will be discussing the way the Old Testament world was and why it matters to us. We too often understand the Old Testament just through the lens of the New Testament instead of understanding the Old Testament on its own entirely. We need to approach the work on its own. The book covers so many of the minor details of life in the Ancient Near East, far too many to cover in even two hours. This is how massive the world is and hopefully, you will get a better understanding of it. I hope you’ll be looking forward to the next new episode. We’re working on others. We have had some issues, but they are being worked on. Please also go on iTunes and leave a positive review of the Deeper Waters Podcast. Previous Previous post: The Debate With Dan Barker Is Up!